Please read these terms carefully as they are the terms under which the customer ("you") agrees to purchase products ("the products") from Quilting Ant’ics ("the Company"). No other terms or representations shall form part of these terms unless agreed in writing between you and the Company. These terms do not affect your statutory rights. We are Quilting Antics. Our registered office address is Quilting Antics, Watershed Mill, Langcliffe Road, Settle, North Yorkshire, BD24 9LR. You can telephone us on +44 1729 824708. If you have any complaints about our service or any products you purchase from us please contact info@quiltingantics.co.uk or write to the address above. 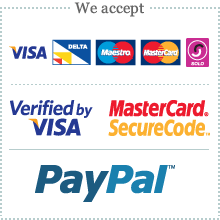 2.1 Ordering at Quilting Antics is fast and secure. To place your order follow the steps indicated on-line. 3.1 We endeavour to dispatch your order to within 3 working days, subject to the receipt of cleared funds. However, because delay is sometimes outside of the Company's control, time of delivery shall not be of the essence. As such, the Company shall not be liable for any losses, costs, damages, charges or expenses caused by any delay in the delivery of the products. If you have not received the products within 28 days you may contact the Company by email quoting your order reference number and cancel that order. The Company will refund any money paid by you in relation to that order.